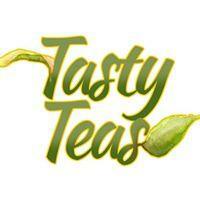 Tasty Teas was founded in 2013 by mother and son duo, Hilda and Jay Forbes. "The Bahamas Tea & Juice Factory " offers whole tea leaves, filtered tea bags, refreshing iced teas and tropical juices, all made with authentic Bahamian plants herbs, fruits and spices. Other homemade goods include lotions, soaps, coffees, body scrubs and more. Seeing on average 1000+ tourist and visitors weekly from around the world ( at our physical location) We also enjoy a robust AND GROWING online presence where hundreds of our products are shipped out monthly to customers around the world.